Good morning, dear friends! Today my daddy and my sweet nephew celebrate their nameday. I dedicate this recipe to my beloved daddy not only because it is his nameday but also because he loves soups. 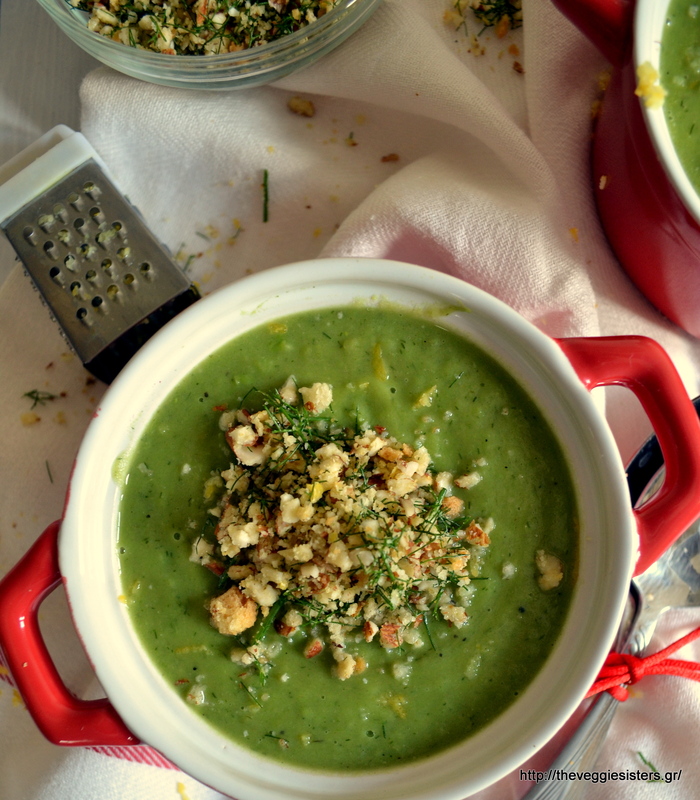 It is a light, yummy soup made with peas and fennel, topped with crunchy almond crumbs. My daddy is a very special man and we love him so much! He has the heart of a child, he is so kind hearted, innocent and hard working! In a pot place all veggies chopped and cover with water. When tender, season with salt and pepper, add and pour oil. WIth an immersion blender puree the soup. Transfer it back to the pot and allow to come to a boil. Put in a blender all the crumb ingredients and pulse. Serve and top with crumbs. Enjoy! 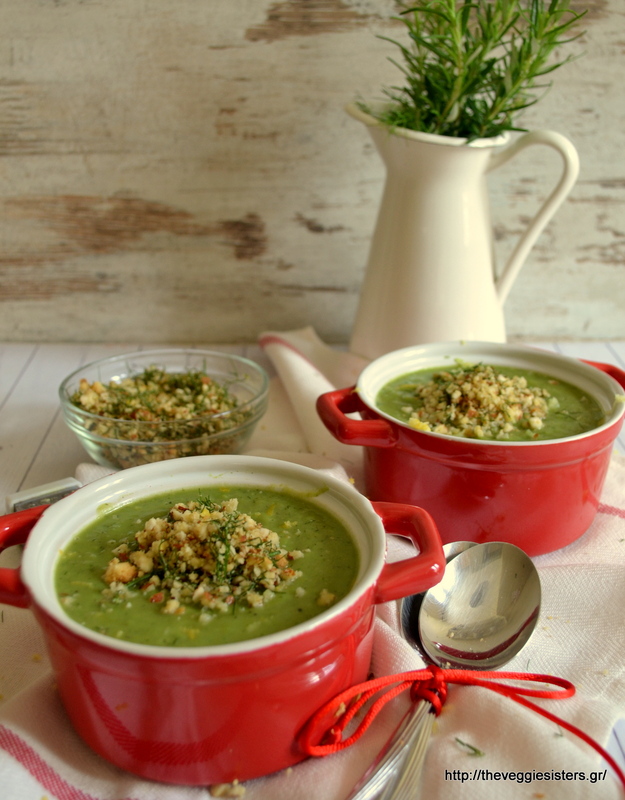 Share the post "Creamy pea soup with almond crumbs"